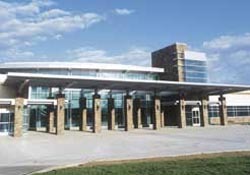 Mountain West Medical Center is a new state-of-the-art thirty-five bed hospital located in Tooele - one of the fastest growing counties in Utah. Their physician services include cardiology, ENT, Family Practice, General Surgery, Geriatrics, Internal Medicine, Opthalmology, Orthopedics, Pediatrics, Podiatry, and Urology. Additionally, they have 24-hour emergency services provided by Board Certified emergency physicians..